Summary: Before: Dara and Aubrey have been inseparable since they became best friends in sixth grade. However, as they begin their sophomore year of high school, cracks in their friendship begin to form, testing the bond they always thought was unbreakable. After: It's been fifteen months since the accident that killed Aubrey, and not a day goes by that Dara isn't racked with guilt over her role in her best friend's death. Dara thought nothing could be worse than confronting the memories of Aubrey that relentlessly haunt her, but she soon realizes it isn't half as difficult as seeing Ethan, Aubrey's brother, every day. Not just because he's a walking reminder of what she did, but because the more her feelings for him change, the more she knows she's betraying her best friend one final time. What first drew me into this book was the cover, because the photo and the colors and the way everything was composed really caught my eye. (I'm big into aesthetics like that when it comes to books.) Then I read the summary, and I was shocked to find out that it's a story about two best friends who grew apart and then had a terrible accident, and learning to cope after that. 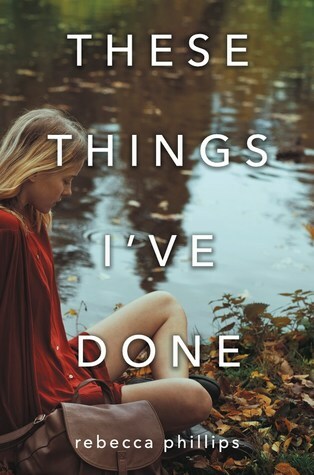 The summary drew me in and I really want to read this book, because I know it's about to be an emotional trip worth having, and Rebecca Phillips is a powerful writer that I can't wait to read. Our 19th Birthdays & GIVEAWAY! !